AT&T and Samsung moved pretty fast with the latest security patch released by Google. The carrier announced recently that three Samsung high-end smartphones are now eligible for the September security update: Galaxy S6, Galaxy S6 edge+ and Galaxy Note 5. All three smartphones will receive an OTA update beginning September 20, but if you don't get it right away don't fret since this is a staged rollout, so it might take a few days to propagate. The changelog is the same for all three smartphones, so beside the September security patch that you'll be getting, you will also receive Wi-Fi Calling, which enables voice calling and text messaging over Wi-Fi networks. Also, the update brings Advanced Messaging, which is meant to enable AT&T Advanced Messaging services either you want it or not. It's also worth noting that in order to receive this software update you must be on a certain baseband version (ending in PD6, PF1, or PG1 for Samsung Galaxy S6; PG1 or PH4 for Samsung Galaxy S6 edge+; PG1 or PH4 for Samsung Galaxy Note 5). As you probably know by now, to force the update on your smartphone simply head to System / About device / Software update / Check for updates. Updates are always good. Keep em' coming. 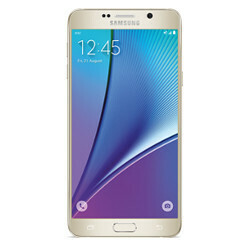 Samsung pushes out September security patch for the Galaxy S6 and Galaxy S6 edge in Europe. http://techpathy.com/september-security-patch-for-the-galaxy-s6-and-galaxy-s6-edge/ the OTA is being pushed out in stages. However, if you’d like to see if it’s ready for your device simply follow these steps: Settings » About Device » Software Update » Update Now.